There are two large Friday Markets that are hosted outside mosques. In Puxi, the original market downsized and relocated back in 2013, but it sprawls across the street from the Huxi Mosque and still sees a lively mix of cultures and great examples of China’s far west cuisine. The one on the Pudong side of the river is a little cleaner, thanks to its location on the sidewalks outside the mosque. At both, you can expect to sample the best lamb kebabs, steamed & baked dumplings, cold noodles and roasted fowl you can find in Shanghai while sitting elbow to elbow with locals gathering for prayer. Come to either location for the food, stay for the atmosphere and a glimpse into the lives of China’s non-Han minorities. It’s also important, now more than ever, to support this community in any tangible way we can. 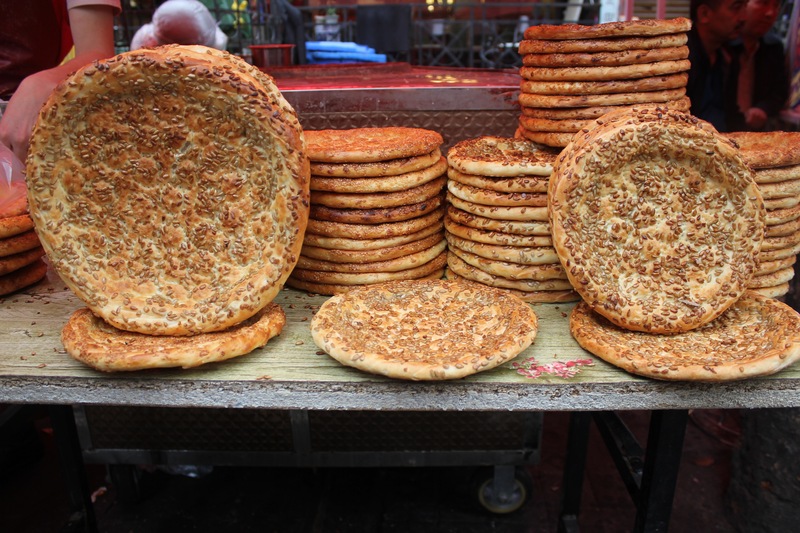 Every Friday afternoon, the areas around Huxi Mosque (in Putuo District) and Pudong Mosque becomes showcases of culinary delights from the city’s Muslim community. 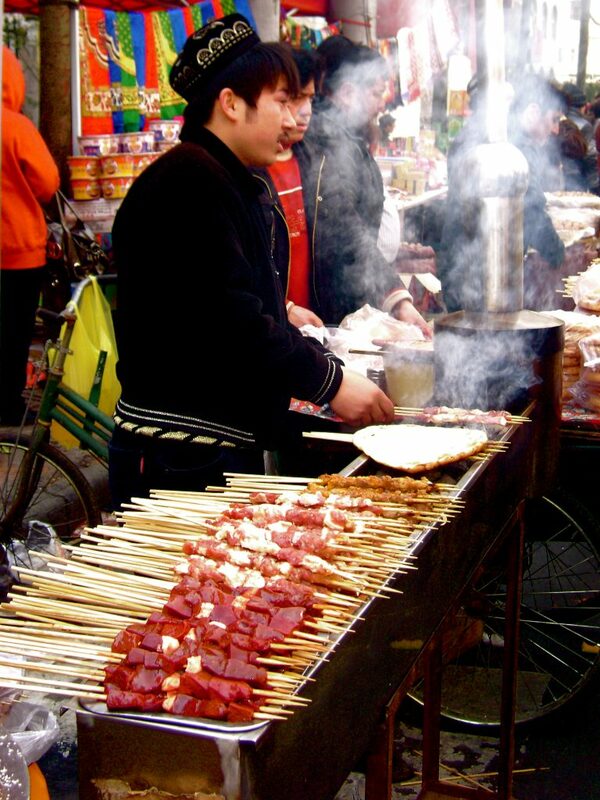 Ten of China’s ethnic minority groups are predominately Muslim and China’s rich history of Central Asian cuisine following the Silk Road east dates to the seventh century. Visit the market around lunchtime to try lamb in all its glorious forms. Perfectly seasoned cumin lamb skewers and freshly-baked naan are a must, but fried and oven-roasted mutton-stuffed dumplings can also be found, as well as other vendors selling traditional jewelry, precious gems and more. This market has suffered shutdowns in the past, so it’s not a guarantee that the vendors will be out, but as of this writing in 2019, things have been stable. Pudong Location: Google map. 375 Yuanshen Rd, near Shangchang Rd. 源深路 375号近商城路. Subway: Line 6 – Yuanshen Stadium. Baidu map. Putuo Location: Google map. Corner of Aomen Rd and Changde Rd. 澳门路近常 德路. Subway: Line 7/13 – Changshou Road. Hours: Fri 10am-3pm. Menu: No menu – just point. Baidu map.